Wow is all I can say about this book. The story was such a refreshing take on your standard zombie fare. Alice in Wonderland is certainly one of the most recognizable books in the world and this is why the title originally caught my eye. I thought I misread at first until a second glance told meI had seen it right. From the very first page I was hooked into Alice's world. The Author blends iconic characters from the original book into this post apocalyptic world seamlessly. It doesn't follow Alice in Wonderland exactly (which is good)but blends the best parts with the sadness and sorrow of living in a world destroyed by a Zombie Apocalypse,fallout from Nuclear attacks and the crumbled remains of a once civilized Democratic society. These biters intrigue me. I will never wonder what book to read again thanks to you! This book sounds awesome. Definitely now on my "to read" list! Have this book but haven't read it yet. 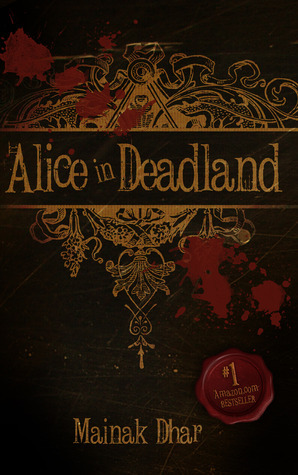 It's by far one of the most creative retellings of Alice In Wonderland I've read in recent memory. This book sounds interesting, I'll be putting this on my must read list! Great review!! This is a book that is going on my TBR list for sure! !